Ellen Stephenson fell in love with the piano at age eight. 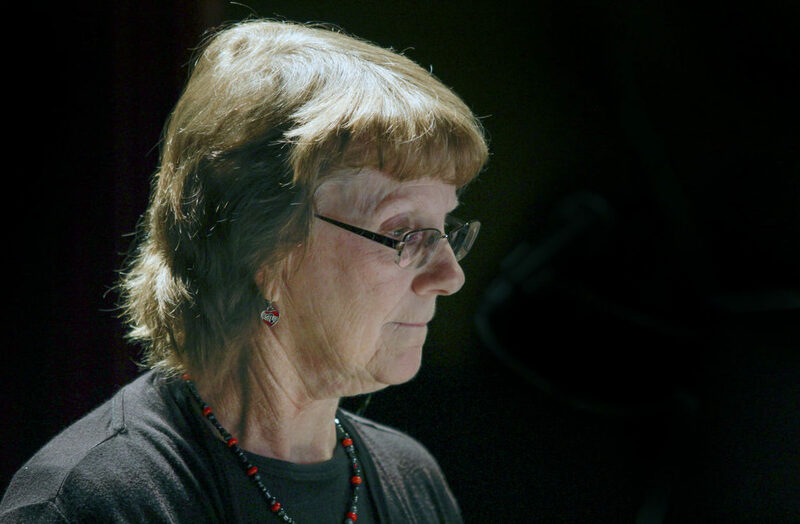 Promoted to church organist when her feet could barely touch the instrument’s many pedals, she has continued to create amazing musical experiences for her audiences for more than five decades. 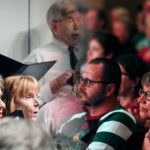 She is much sought-after accompanist, and has served the Ozarks Chorale in that capacity since 2010. Ellen’s primary talent lies in her ability to capture the music playing in her head and craft it into lovely, inventive, and accessible compositions for all levels of musicians. Her biggest hit, “Cold and Fugue Season,” has sold almost 1,000,000 copies. An amusing parody on the work of Bach, this signature choral piece is as entertaining as it is cleverly musical. Proving that she is not a one-hit wonder, Ellen has written more than 700 compositions, many of them published by major music publishing houses. Most of her work is written for keyboard instruments, and many include vocal parts. Her piano pieces are National Federation of Music Club selections, ad her work is performed locally, regionally, and nationally. Ellen has even written and published compositions for Boomwackers – which are long plastic tubes that are tuned to make notes when wacked. Used to teach music concepts to children and adults, these colorful tubes make learning music fun. And they appeal to Ellen’s ever-present sense of whimsy and humor, qualities that add a lift of excitement and joy to her work. Ellen has recorded three albums: “Winterwood: Finding Your Way Home”, “Light Reflected”, and “Thorncrown Sacred Space.” Each album contains some of Ellen’s original compositions, and all were recorded at Winterwood Studios. While not composing or accompanying or recording, Ellen is an intuitive and creative teacher. Her skills have been honed by hundreds of students, some of whom have gone on to be teachers and musicians themselves. You can learn more about Ellen Stephenson and her music on the Web at www.ellenfoncannonmusic.com.